I recently traveled to Israel with my boyfriend and didn’t really know what to expect. I, like many Americans, used to have a skewed perception of what the country is like. Over the last few years many of these preconceived notions were debunked. 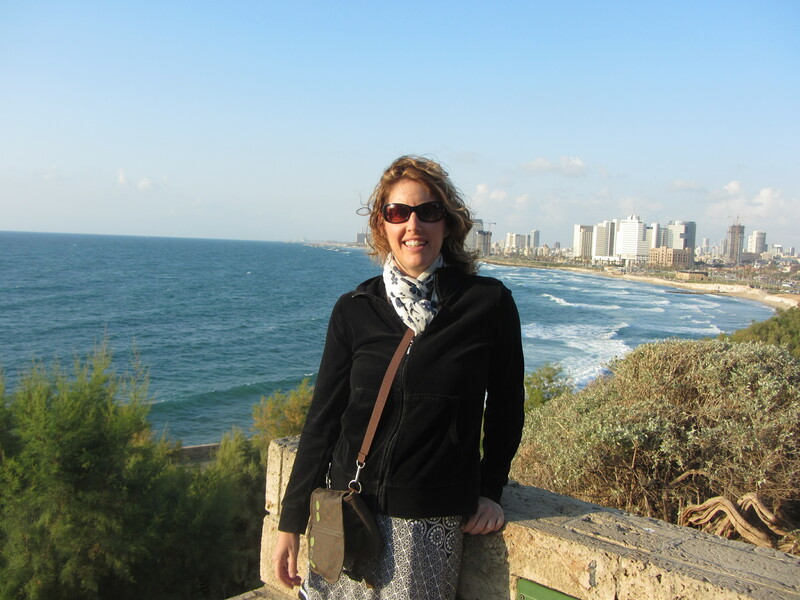 I still wondered if life in Israel was at all like stories I had seen on the evening news. Would there be missiles everywhere and camels wandering the streets? Avoiding missiles and violence in Israel was not a problem. Gaining weight from all the fine food and finding a parking spot for your car were problems. I was so busy walking and eating there was no time to worry about missiles or my safety because walking around Tel Aviv was more safe than walking around New York City. Before the trip I had heard a lot about the food, the people, the beaches, the humidity, the historical sites and yes, more about the food. I spent most of my time in Tel Aviv, so maybe my extremely edible view of Israel is different than other parts of the country. The food was definitely the highlight of the trip, along with a particularly energetic wall. 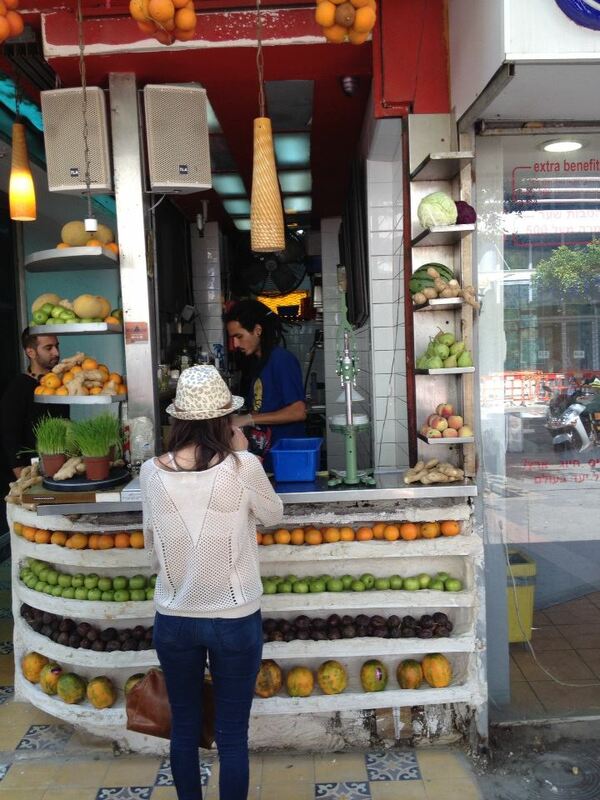 In Tel Aviv there is no shortage of fresh squeezed juices (on every corner), amazing coffee, fresh melon, and delicious shawarma. If you don’t know what shawarma is, you just have to taste it to understand. And (unfortunately) I haven’t found very good shawarma in the U.S. The bread is different, the meat is different, the hummus is different and the tahini!! My mouth is watering just writing about it. To give you an idea how amazing the sandwiches were, we stopped on the way to the airport to grab one last sandwich so we could nibble on it during the 11 hour flight back to the U.S. It definitely made the trip go by faster. After spending several days in Tel Aviv, I took a guided tour of Jerusalem. There is so much history in Jerusalem it is hard to say what was the most interesting. The tour was so fast paced I almost missed the stone where Jesus laid when they brought him down off the cross. I didn’t have time or the desire to wait in line to get a glimpse inside the tomb where Jesus was resurrected. Needless to say, Jerusalem has an aura of conflict, death and tourism. The old city at times felt more like a giant shopping mall than a historical site. There is one spot in Jerusalem that moved me more than anything else – the Western Wall or The Kotel. The tradition of the Kotel is to put your prayer notes into the wall. I carried notes from others as well as a few of my own. Getting to the wall was a challenge, placing the notes into the wall was nearly impossible. 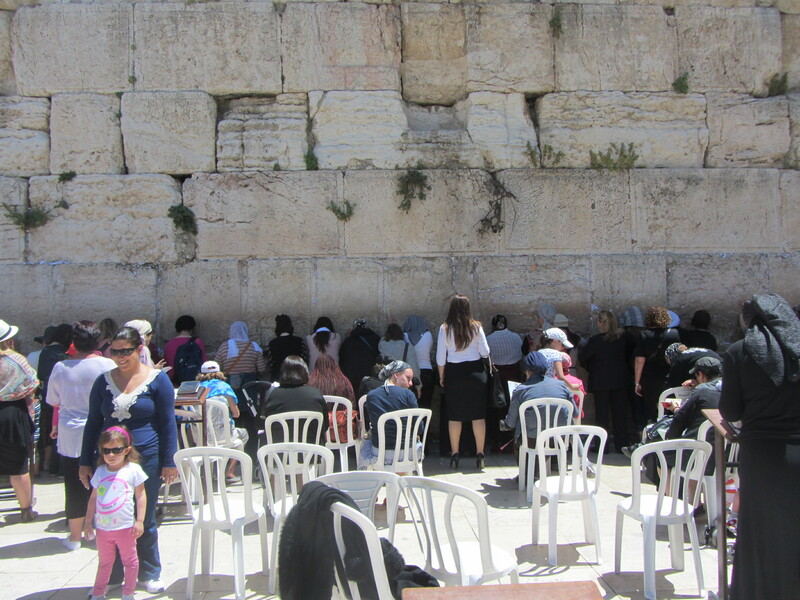 The Western Wall is divided into sections – one for women and the other for men. The section for women was very small – so there were a lot of us squished together and trying to place our notes. I was able to get up to the wall. To touch it. To place my notes. What surprised me was that I could feel an energy being emitted from the wall. I am not a religious person, but there is definitely something unique about the wall and I felt it. My trip to Israel was too short and there are plenty of other things for me to see, do, and eat there. I am definitely looking forward to the next trip and my next shawarma! Next > Have a nice trip…ouch! Stacey. Love the pictures. Looks like you had a wonderful trip you world traveler.